Gatherers and producers at the Sicarappam work in an environmentally friendly way and mainly produce organic plants that are certified by Ecocert. In order to achieve optimal traceability, the Sicarappam has decided that in addition to the Cooperative’s certification, they also demand that each member be awarded individual certification. 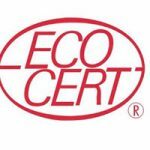 Every gatherer and producer is therefore inspected by Ecocert. They must keep a record of the crops gathered or cultivated. They must also provide maps showing where the plants are gathered as well as information about cultivation practices, etc. All of the plants grown at the Sicarappam are certified organic. They are therefore grown to environmentally friendly specifications, without pesticides, fungicides or chemical fertilizers. Beyond this certification, certain producers from the Cooperative have chosen biodynamic farming. This is a way of understanding, observing, cultivating and, in so doing, respecting the land and the animals whilst bearing in mind the different natural rhythms in farming. The day to day running of a biodynamic farm is based on solidarity economy throughout every stage of production. The Sicarappam is very familiar with solidarity economy. In collaboration with the ”Bio Partenaire association” it has begun the process of obtaining formal recognition from the Bio Solidarity industry. Based on actual production costs, the rates practiced at the Sicarrapam, mean that each grower earns a decent living from his or her job whilst producing high quality plants. This ethos, respected at every stage of the production process, from grower to consumer, proves beneficial to all those involved.